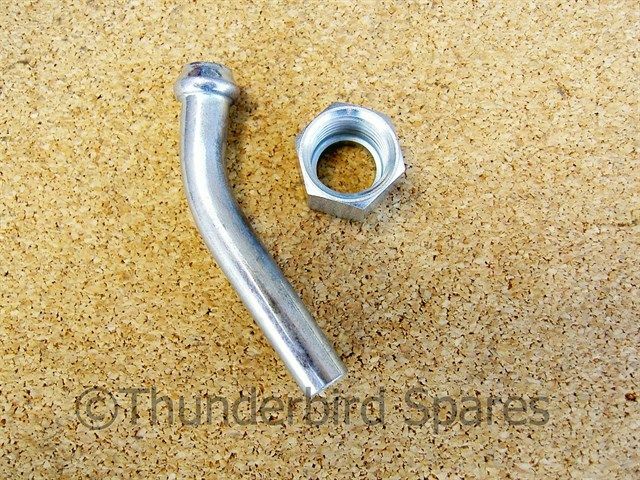 This is for one new nut and fuel pipe spigot, in bright plated steel, to fit 1/4 BSP fitting found on many Triumph fuel taps of the 1950s, 60s and 70s. The spigot is nominally 45 degrees but measures more like 35 degrees in use. 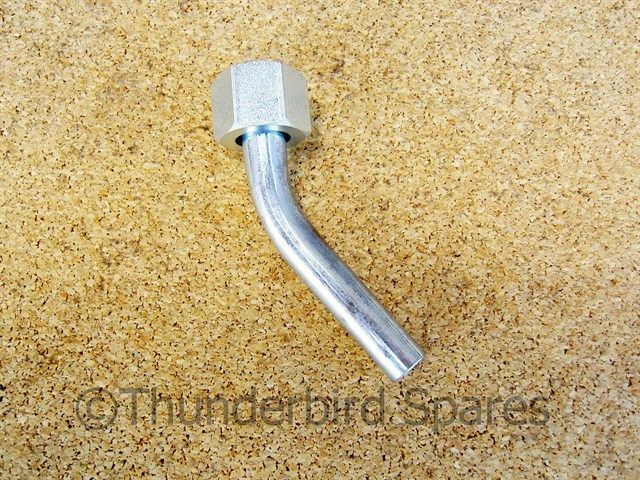 It fits the BAP and Lever type petrol taps that we sell. The spigot is a tight fit on 1/4" bore fuel pipe (6.3mm) or a sliding fit on 5/16" (7.9mm) bore pipe and will need to be clipped on. 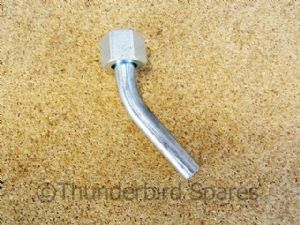 We also have an straight and 90 degree fitting of this type, please see our other listings.